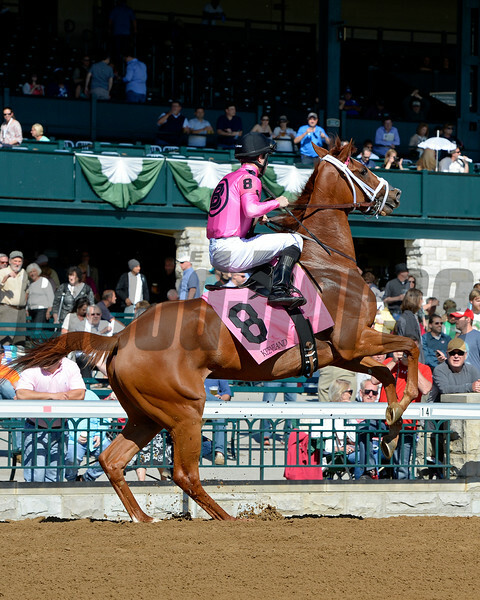 Luis Saez at Keeneland and Catch A Glimpse with Florent Geroux wins the Appalachian (gr. III) presented by Japan Racing Association. Morning works and scenes at Keeneland in Lexington, Ky., on April 14, 2016.